Yamaha is perhaps the oldest, well known manufacturer of musical instruments, electronics, and power sports equipment. Based out of Japan, Yamaha is considered to be one of the world’s largest and most reputable piano manufacturers in the world. Although Yamaha has been a great manufacturer or pianos since the company’s inception in the late 1800s, today they are well known for creating a plethora of instruments, speaker systems, and other digital entertainment devices. Yamaha speakers are most popular among guitarists and others who want to be able to project their music through crisp, clear, amplified sound mechanisms. DJ’s also find Yamaha products to be quite appealing. Known mostly for manufacturing instruments and keyboards, Yamaha has been involved in the music industry for decades. Musicians, producers, and lovers of music from all walks of life have been able to take advantage of the great sound quality that Yamaha engineers have been able to create and manufacture to meet the demands of the mass market. Due to Yamaha’s reputation of developing high quality products that have reasonable price points attached to them, it is not surprising that one of the most common go-to brands within the music industry is Yamaha. This article will share in greater detail some of the steps that were taken over the years by Yamaha to put themselves on the map of great speaker producers. Yamaha is known for creating and manufacturing some of the best natural sounding speakers since 1967. It was in 1967 that Yamaha began to make history when it came to creating HiFi speakers by improving the Electone’s Natural Sound Speaker for HiFi use. The NS/30 and NS/20 speaker model was the first in its class to bring natural sound to the masses. A few short years later and the NS690 was released. Consumers loved the “European sound” that came from this speaker that was encased in a stylish wood cabinet. Around 1974, Yamaha released what is known as the world’s first pure beryllium diaphragm in the NS1000 model. This speaker won awards all over the world for the high quality, clear sound that resonated while being used. Yamaha quickly gained popularity due to manufacturing high quality products while at a reasonable price point. The reason that this was possible is because of the method of manufacturing that Yamaha employed. The sheet method of manufacturing is unique in that it gave Yamaha the ability to manufacture speakers quickly so that there was more available to the mass market. In addition, the sheet method was able to help Yamaha keep the costs down so that they product could then be offered to the population for a reasonable price. All of this was done without sacrificing quality and great attention to detail. In the 1970s, Yamaha used the AST-1 speaker model to introduce new technology, yet again. This approach employed servo technology to broaden speaker limits by controlling the air vibrations in the speaker. 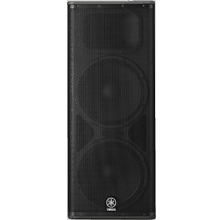 As a result, the AST-1 speaker model continued to build upon the confidence of previous models, strengthening Yamaha’s overall reputation for being a leader in sound equipment. In the 1990s and early 2000’s, Yamaha began to push the envelope yet again by creating equipment that could be considered unique as they limited low-frequency playback while enhancing near-field listening capabilities. 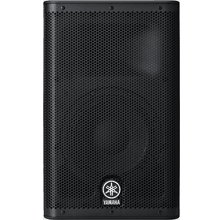 It is not surprising that Yamaha continues to be a force to be reckoned with in the music industry, specifically within the speaker department. Constantly striving to create new and improved technology so that the main population can enjoy music and sound to the fullest, Yamaha continues to remain a popular brand in households, businesses, and in the entertainment industry worldwide. What Types Of DJ Speakers Do Yamaha Produce? When the common person thinks of a speaker, they think of the unit to be something that will provide them with high quality sound performance of a specific song. 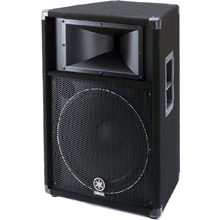 However, there is much more than goes into the type and size of speaker that will work for you as a DJ. This article will highlight everything that you need to know when it comes to the type of speakers you will need as a DJ. More specifically, this article will focus on Yamaha products. 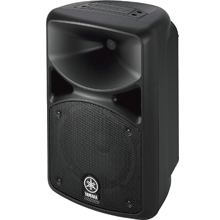 Let’s start off by describing the different types of speakers that you can consider adding to your DJ equipment stock. The most convenient and easy to use, active speakers are equipped with an internal power amplifier. What makes these speakers so easy to use is that you can directly connect them to a mixer. One of the conveniences of using an active speaker is that you can limit the number of cables required to set up your system. Some DJ’s prefer to use active speakers as they are simple and easy to use. 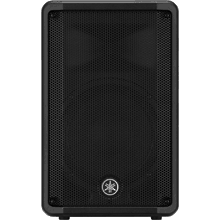 If you have an interest in creating a powered PA system, active speakers tend to be the better choice as they require fewer connections. 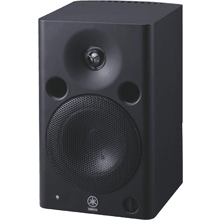 Yamaha DXR or DBR series speakers are great for those who want to add a microphone to the setup. When choosing the best type of speaker for your needs, there are some things to keep in mind. 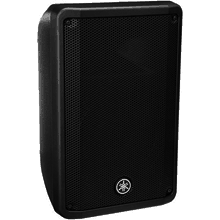 Space, location, and the number of people that you will be entertaining are all important points to take into consideration when choosing the speaker system that you will use for your DJ gigs. This article will define in more detail how various types of speakers can work for you. These types of speakers provide basic functionality but require a power amplifier to generate and produce sound. DJ’s tend to prefer to use passive speakers because they provide freedom when it comes to moving speakers around, venue changes, and adding or subtracting additional equipment dependent upon the type of gig you are playing. A subwoofer is designed for low frequency playback and are most often used with main speakers to boost the low-end range of sound. Keep this in mind if you choose to use the main speaker system as your primary equipment for gigs. Performers prefer to use these speakers when they find it necessary to keep tabs on the sound being produced. Monitor speakers can be positioned on a floor, stand, or on stage depending upon the shape and size of the unit. The most important thing to remember is that you will need to take into consideration the type of music you will be playing, the venue and location, as well as the makeup of the crowd. 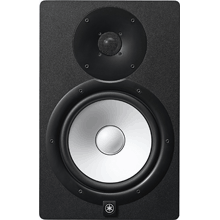 What You Can Expect When Buying Yamaha Speakers? There is nothing more frustrating than investing a big chunk of money into your DJ equipment only to find that something does not work right. That is why it is important to conduct intensive research before you make a decision to commit to a purchase. This article will feature things that you can realistically expect when you buy speakers by the Yamaha brand. When you buy a name brand set of speakers by Yamaha can you expect your equipment to last a long time. It can be challenging to find a brand that stands behind their products and consistently produces items that can with stand the test of time. Yamaha, as a brand takes this aspect of manufacturing great equipment seriously. This means that when you spend money on a Yamaha product, chances are high that you won’t have to replace it for years to come. When you purchase a brand such as Yamaha, you can expect to receive great value for the money spent. The reason for this is that Yamaha has been making speakers for decades. This speaker brand is consistently employing top notch engineers to research and create innovative advancements in their equipment. This is how they stay at the top when it comes to making the best speaker systems for the money. 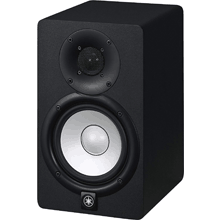 The sound quality on a set of Yamaha speakers is known to be outstanding. The sound quality is clear, crisp, and can manage highs and lows without cracking or fades. Thus, when you purchase Yamaha products, it is unlikely that you will experience malfunctioning issues with them so you can be confident in your purchase. In addition to investing in speakers that are made with the latest in technological advancements and at a price point that most can afford, you will also enjoy a modern, sleek, and great design in product appearance. Whether you choose a speaker system that is set within a wood, metal, or plastic cabinet, all of Yamaha’s products are sophisticated and have a level of class to them that other brands cannot replicate. Yamaha is a company that believes in their products and stands behind them. So much so, that many products will offer at a minimum a limited manufacturer’s warranty. This means that if you were to experience a problem or a malfunction with your speakers within a set period of time, Yamaha would either replace the speaker or fix it at no cost to you. While you may not want to spend the few extra dollars on a name brand set of speakers by Yamaha, the warranty in itself, makes the extra expense worthwhile. When shopping for the perfect set of speakers, Yamaha is a brand that you can trust to withstand the test of time, create great sound quality, look classy in its design and is backed by the manufacturer to be a great piece of equipment. Yamaha is a brand that has been popular for decades due to their great design and high-quality products. When you purchase speakers by Yamaha, you will not have to worry about the sound quality as they are always created with the latest in technological advancements. 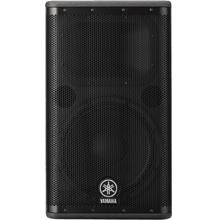 In addition, Yamaha is a brand that has set the stage for others to follow and remains a top competitor in a marketplace that is oversaturated with speaker equipment. The trick is to knowing what a good quality product is and what is not. Yamaha is a product you can trust for the long haul.